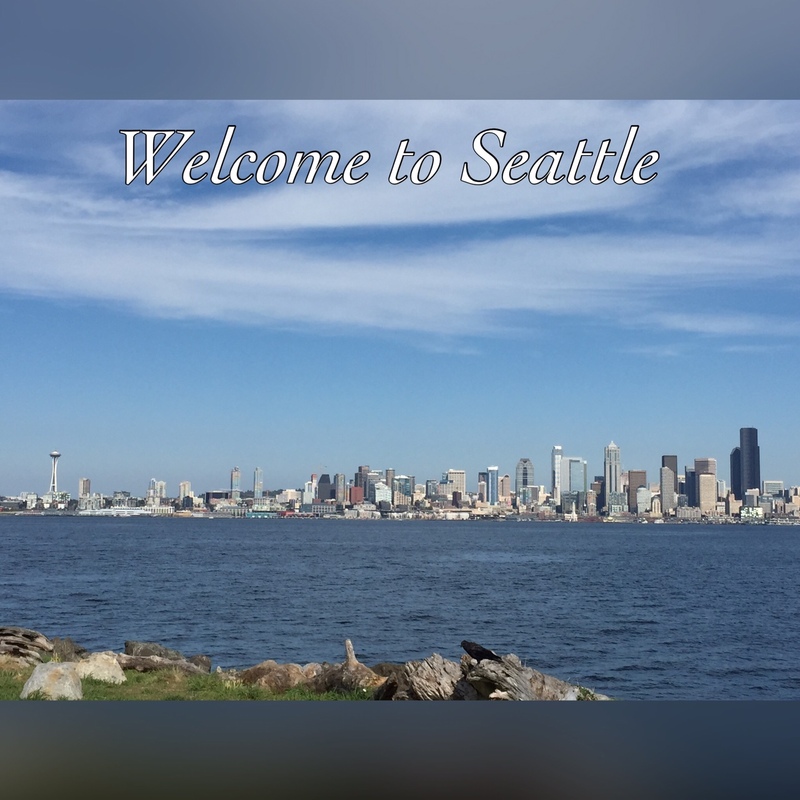 We made it to beautiful Seattle and in a week’s time we have toured apartments, visited family and friends, walked around a hilly but beautiful new city, and eaten delicious food. Surprisingly I have hardly cooked in the last three weeks. Between staying at a hotel our last week in Boston and now staying with my in-laws, I don’t even remember how to do meal planning and shopping as all of our food has been prepared by others (and for that I am grateful!) Eventually we’ll have to get back to real life, but for now I’m enjoying it. What do you do when you move to a new city with no job and no real routine yet? You do what is familiar with a little bit of challenge added on. In my case, I bake. Read on, to find what the challenging part was. For the past few years in Boston we have gone apple picking this time of year. We’ve come home with pounds and pounds of apples and have used them to make apple pies, stuffed apples, applesauce, and whatever suits our apple cravings like these turkey and apple breakfast sausages. Being in a new city and still needing to settle in, I didn’t know if we’d get a chance to go apple picking this year, despite being in the number one apple-growing state in the country. So with the itch to bake something and wanting to welcome the fall and Sam’s first day at his new job, I baked a Seattle Apple Pie. 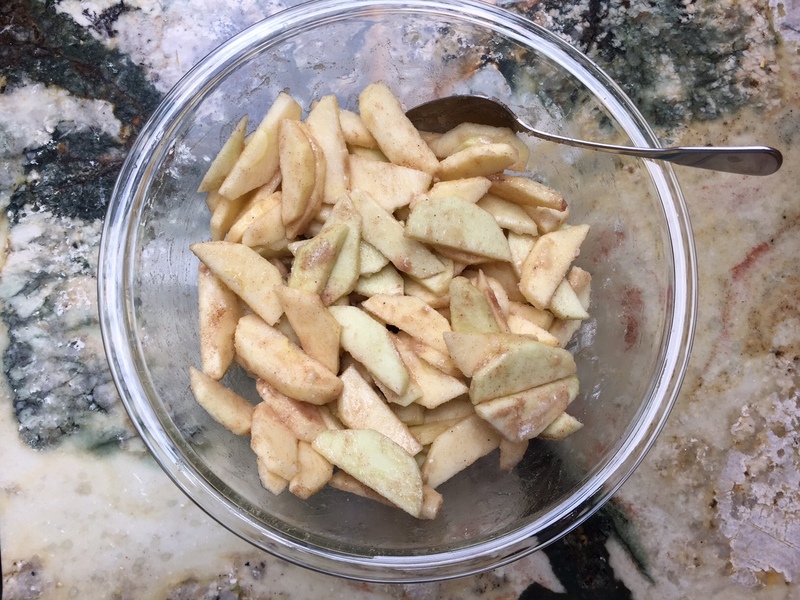 First of all, it’s pretty cool to go and pick apples in Massachusetts and then use them to make an apple pie, but it’s way easier when you can go to the store and buy local apples without even trying. As for the double batch streusel topping, the story goes that several years ago, Sam and his brother were making an apple pie for their dad. 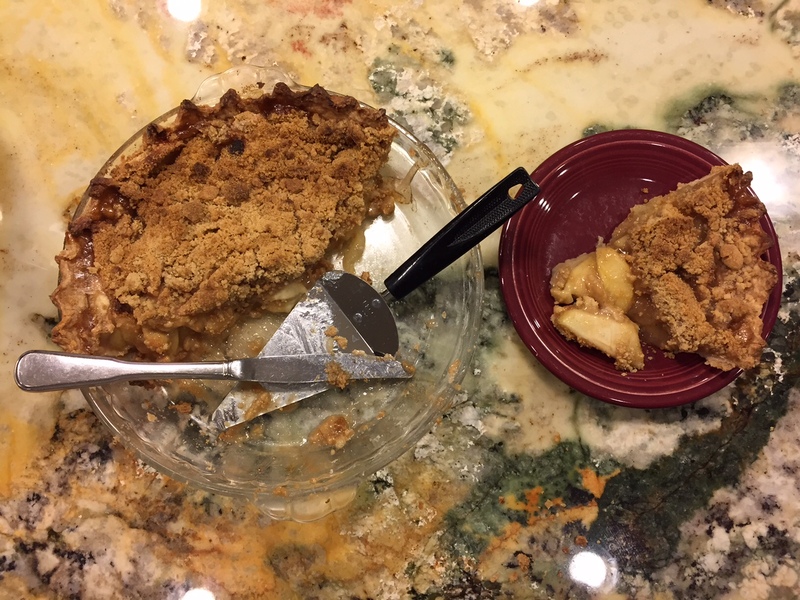 Somehow they accidentally doubled the recipe for the streusel topping, but their dad liked the pie so much that from then on all apple pies had to made with double the topping. However, when I made this particular apple pie I doubled the topping as instructed, but I just couldn’t justify using it all when I went to put the topping on so I only put three-quarters of it on top. I have included the full “double” amount in the recipe below. As for reason number three, I may have mentioned before that my mother-in-law is gluten-free and has been for years. She has a gluten-free treat now and then, but mostly skips out on the regular desserts that the rest of us enjoy. Despite having very little gluten-free pie baking experience, I decided to try making a gluten free pie upon my father-in-law’s suggestion (the challenging part). Amazingly it turned out to be delicious! All of us enjoyed it – including Sam’s dad. 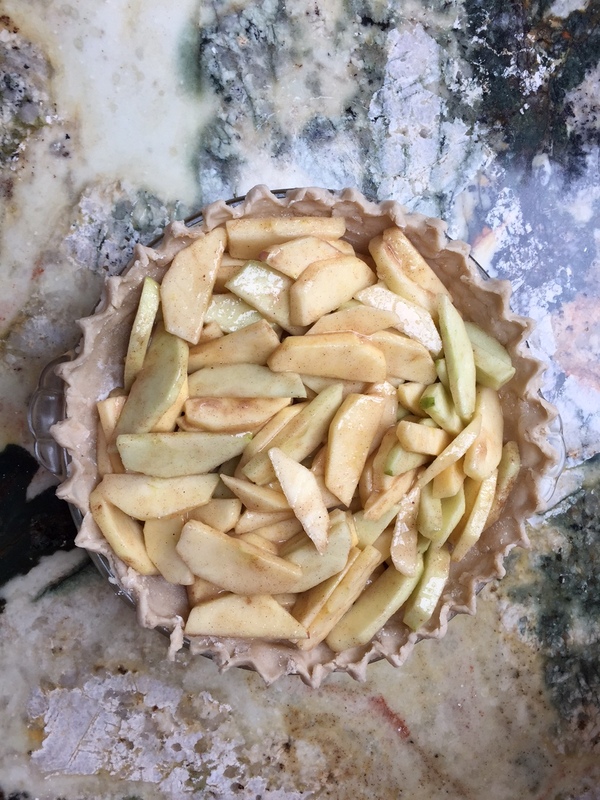 Other than the crust, the pie can be switched to a traditional recipe simply by swapping the exact measurements of gluten free flour with all-purpose white flour in both the apple filling and streusel topping. For the pie crust put your flour and the next six ingredients (through baking powder) in a medium bowl. Use a pastry blender or food processor to break up the shortening into small chunks. Add you milk and vinegar and stir until it comes together. Use your hands to knead it into a ball. If it is too sticky add a bit more flour. Wrap in plastic wrap and refrigerate for 1 to 2 hours. 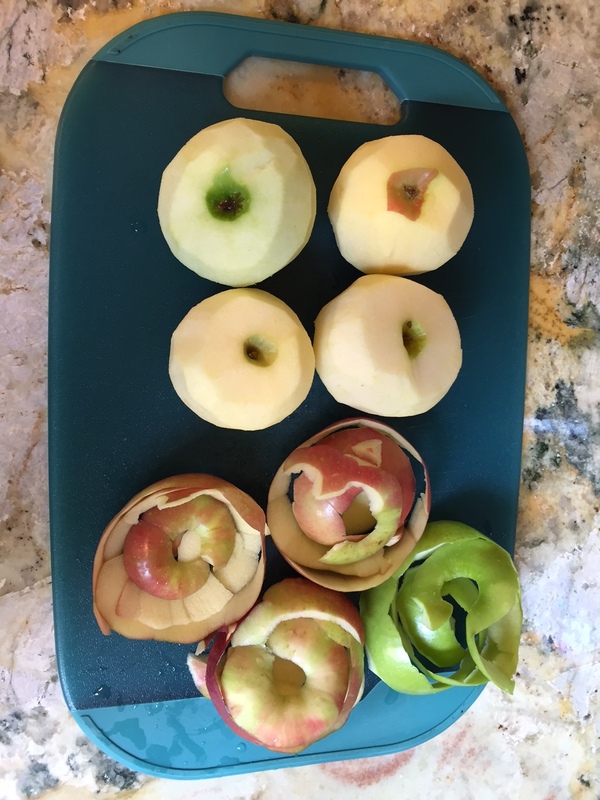 Meanwhile prepare your filling by peeling and thinly slicing your apples and mixing them with the remaining ingredients. Cover and put in the fridge while you allow the crust to rest. For the streusel, in a small bowl (even the same bowl you used for your crust) mix the flour and brown sugar. Add the butter and break it up with your fingers or use a pastry cutter until it becomes a uniform, crumbly mixture. Refrigerate until the crust is ready. After the crust has chilled and rested, preheat your oven to 375 degrees. 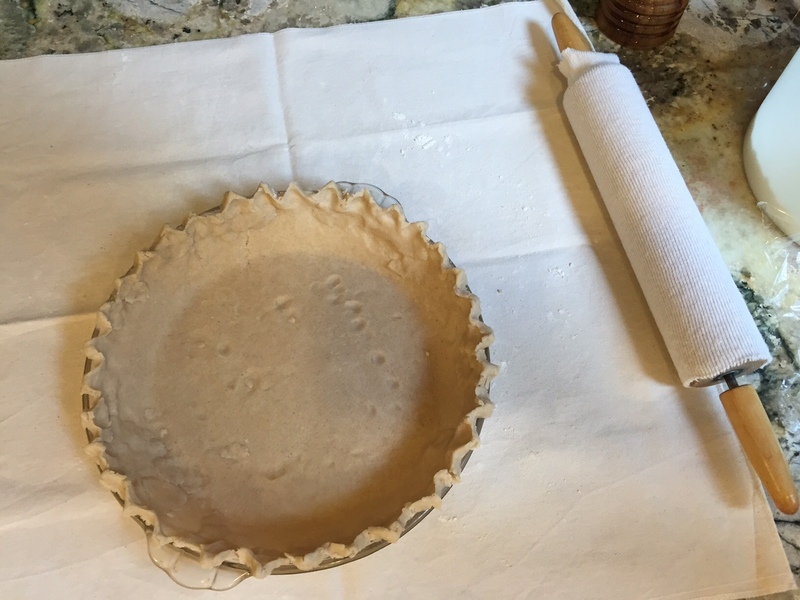 Gently roll out your crust on a floured surface and gently transfer to your pie pan by wrapping it around the rolling pin and unrolling it over the pan. 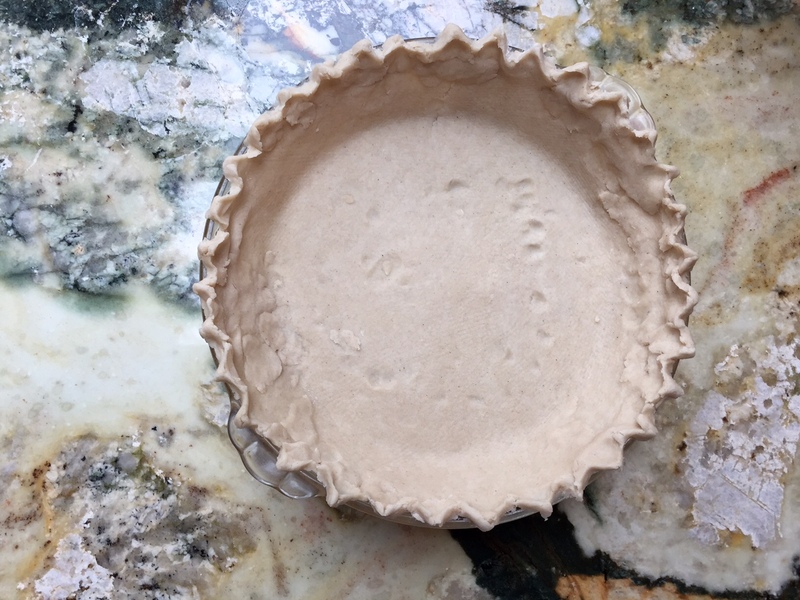 Make the prettiest crust you can while patching the cracks. (This crust rolls out pretty well for a gluten free crust.) 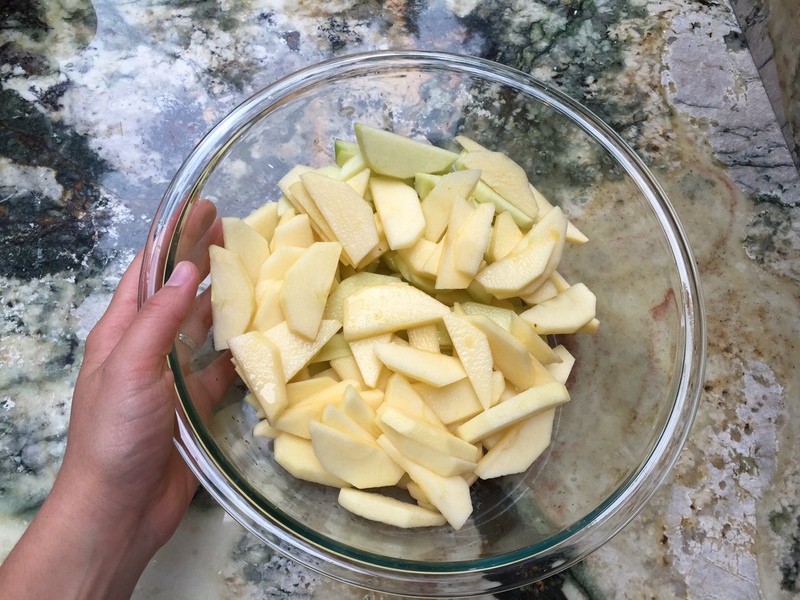 Add your apple filling and top with as much streusel as you can handle. Cover the edge with foil to prevent burning and bake on top of a sheet tray to catch any leaking. Bake for at least an hour, until the filling bubbles and the streusel is golden brown. Let cool for a full hour to allow the pie to cut neatly. Serve with vanilla ice cream or whipped cream. 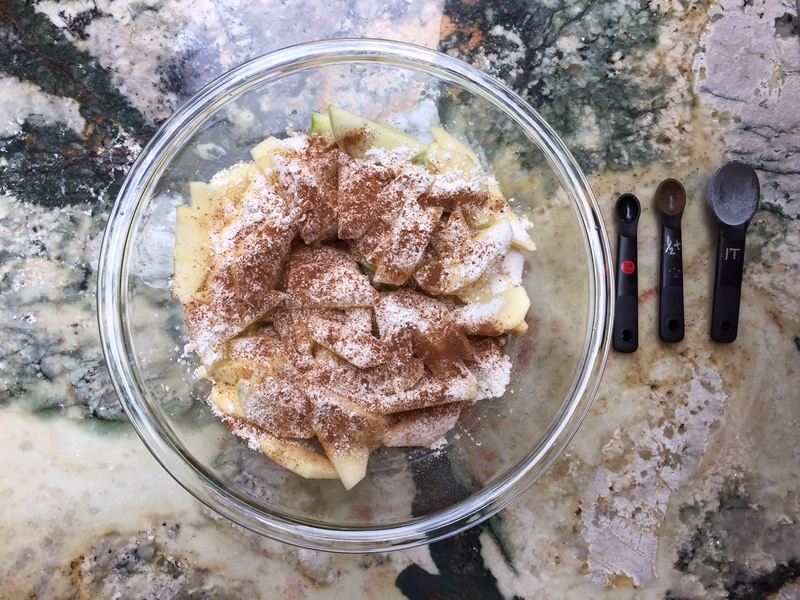 *I used 2 Granny Smith, 2 Honeycrisp, and 1 Fuji. In Massachusetts we used Cortland apples. The number of apples you use will depend on their size. Around 3 pounds should be about right. May this new city bring us joy and new challenges! I’d love for you to stop by my linky party this weekend and share it!